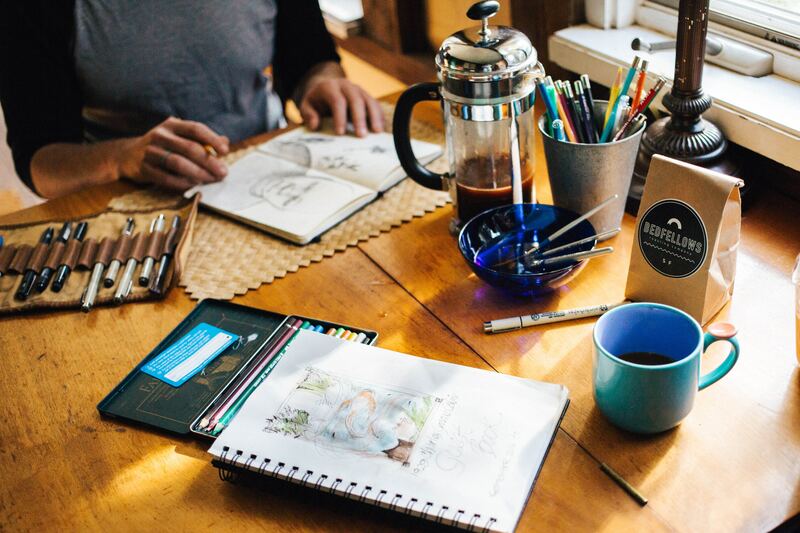 When you’re thinking about dream cities, you’re instantly bombarded with images of Parisian wining, Italian dining, or the great New York adventure. After a while, as fantasy turns into a comprehensive bucket-list, you begin to remember less mainstream, equally dreamy cities. What would Tokyo be like? Tokyo is beautiful at sunrise, kindness and quirks and some damn tasty food. More so than that, however, Tokyo has been an industrial, innovative, technological paradise since the end of World War II. As we learnt after an incredible meeting with New Zealand Embassy First Secretary Richard Griffin, Japan has been a world leader in the market, boasting the third most successful economy in the world – with a whole lot to show for it. From the likes of Toshiba, Uniqlo, Mitsubishi and Toyota, Japan are not only industry leaders, but many Japanese companies, as we learnt in our meeting with Mitsubishi Electric, implement a series of values such as equality and integrity that enable them to the best of the best. The educational value gained from our meetings exceeded our expectations. The New Zealand-Japan relationship is one forged from many years of warm relations and interactions. 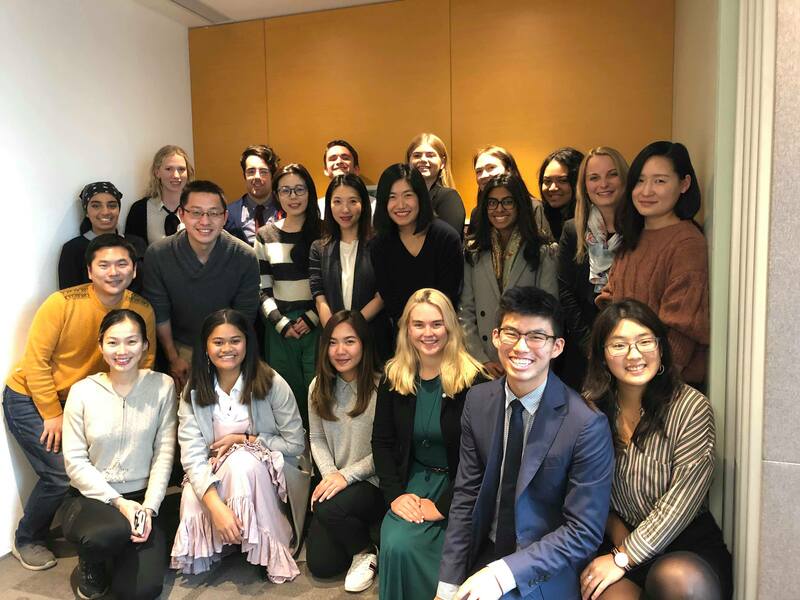 Air New Zealand and the Australia New Zealand Chamber of Commerce Japan taught us that business in the region is only possible if we embrace these relations – involving the youth in opportunities, embracing cultural similarities and celebrating the differences. After all, it is through differences that we grow and continue to shape our unique world view. 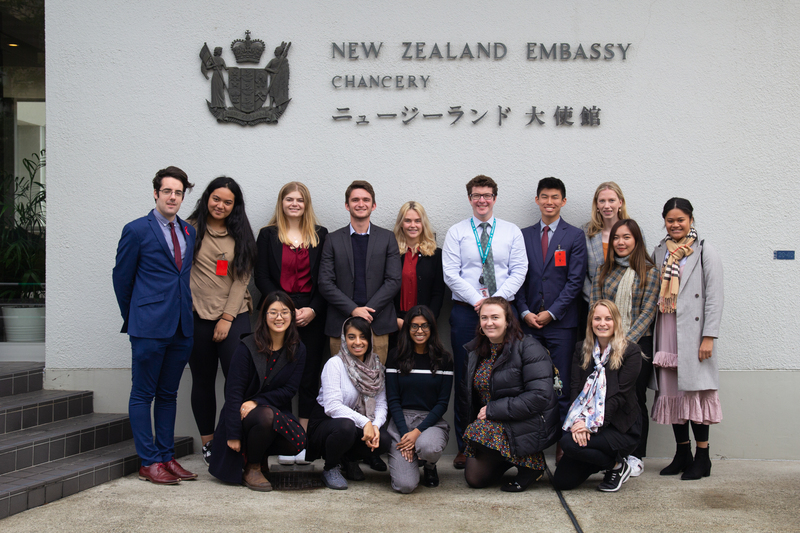 The delegation enjoyed a number of incredible experiences – from exploring Harajuku, crossing the world’s busiest pedestrian, Shibuya Crossing, and devouring tasty treats on the city streets, Japan was paradise. 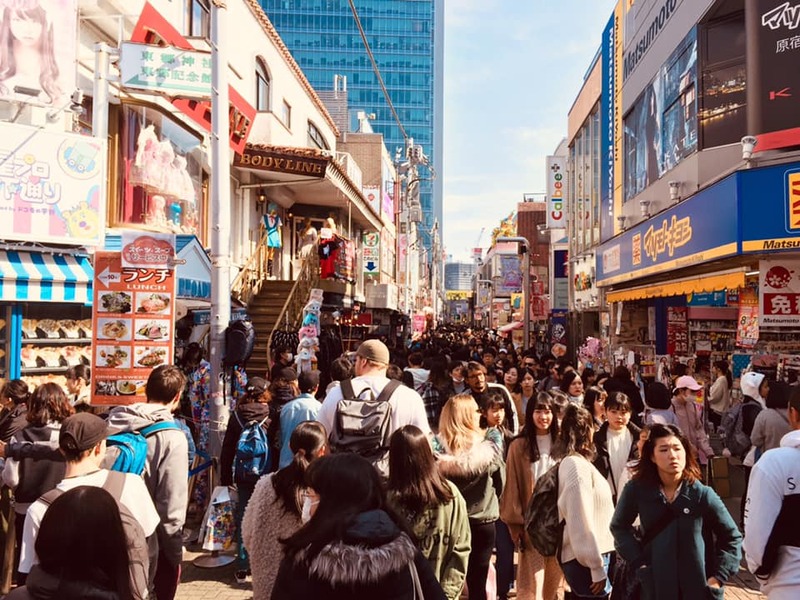 As a country that many of us had dreamed about since we were young – finally admiring the sights of the Sensoji Temple, eating sushi in Japan and getting lost amongst in a sea of people and a sea of potential, Japan set the already high benchmark even higher. The future is brighter than a neon stand outside the Shibuya Mark Mall for Japan, and as architects of the future, it is our right to direct it. May we do this as responsible leaders, friends to our allies, and lifelong learners alongside our neighbours for the many years to come. The first glimpse we had of Shanghai was like playing Minecraft with the view distance set to tiny. Everything was shrouded in sheets of grey fog. Our overnight train pulled in at about 7am: cue the mad half-asleep dash through the metro system with big bags over our shoulders and under our eyes. We were staying in Yuyuan near the famous gardens of the same name. After dropping our bags off we got delicious soup dumplings (a first for many of us). A second wind carried us through the day and the gardens will always be a highlight. They were filled with gorgeous ponds and rockeries. Some of us then went up the Shanghai Tower and were treated to an amazing sunset and view across the city as night fell. Monday the 25th brought on a full meeting schedule. Mary-Jane Bethell and Suzy Fewtrell briefed us on what New Zealand Central does in providing a space for kiwi businesses to professionally connect with foreign partners. We also learnt about KEA, a global connection of NZ expats. 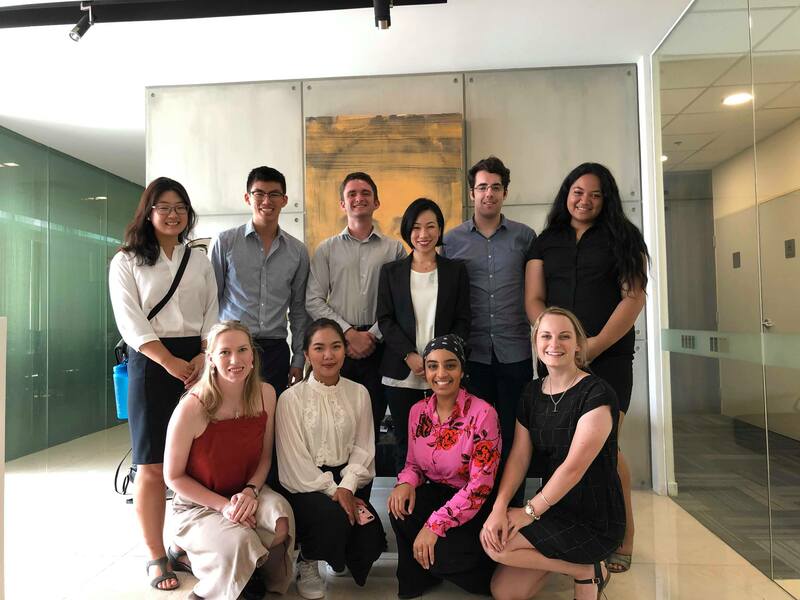 Our next meeting was with Nicole Mao at PCNZ as well as smaller presentations from the brands within the group such as Villa Maria, Silver Fern Farms and Landcorp. 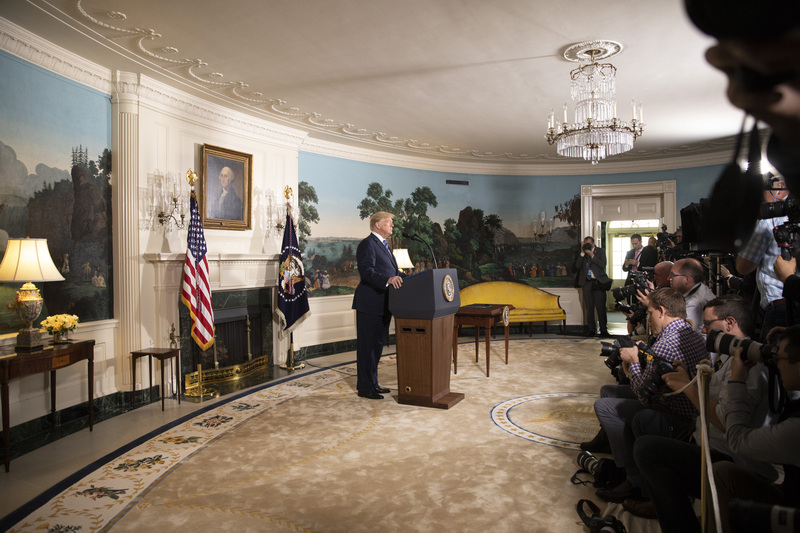 The unique experiences of each business gave us a snapshot of the differences within the Chinese market and highlighted how working collaboratively is incredibly important. Our final meeting was with the NZ Consulate General. Andrew Robinson and Sarah-Rose Williams gave us a crash course on China as a whole and their roles in the Consul. Tuesday dawned with two more meetings. First up was Aaron Marsich and Eleni Yianna Hogg from tribal brands Asia. They highlighted their website Bullseye which helps NZ companies find the right channel into the market. After a hurried snack we started meeting two with Richard Zhu from United Media Solutions. They help NZ companies bridge into the Chinese market by assisting with business and social media strategies. The social media environment is very different to what we are used to. These insights helped us appreciate the waters through which NZ companies must wade, but gave us some insights about how to get successfully out of that moat. With our meetings in Shanghai completed it was time to don our tourist hats. First we explored Nanjing road and ended up at the Captain for dinner. We got an early night in preparation for our very early start the next day. Disneyland was on the agenda! An hour on the metro followed by an hour of waiting in line gave us time to get even more excited! Finally the gates were breached and we flooded into Disneyland and straight to the Tron ride. This roller coaster was the first for some of the delegation. It was incredibly exciting see their smiles and grins afterwards despite the nerves. After Disneyland some people went to the Fake markets to do some shopping. Then we departed the next day! Previously known as Canton and the trading hub of China, we at last arrived in Guangzhou, China! Guangzhou is the third largest city in China, with a population of over 13 million people, transparently obvious when we were greeted with a vast crowd we battled through with our suitcases to the metro in order to reach our accommodation. 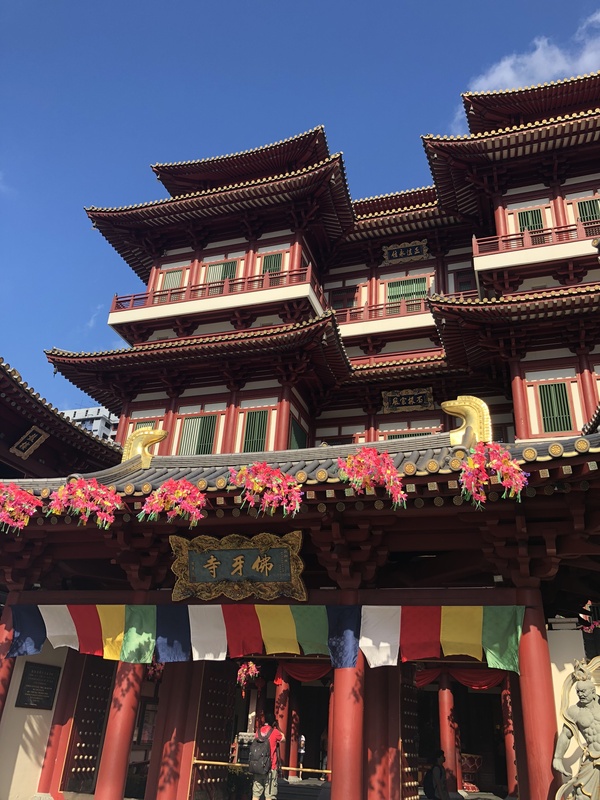 Once we had settled in, a few of us explored the streets of Guangzhou to find a restaurant to eat authentic Chinese dishes, while the rest stayed behind to rest to prepare for a big day of meetings. The following day, we met with ACG Education, the NZ Consulate General based in Guangzhou, MFAT, Education NZ, Phil Jones the NZ police advisor and Aaron McKenzie – owner of Social & Co restaurant. Altogether, we concluded the meetings enlightening and informative, as we gained insight to the robust, mature relationship NZ and China has as well as first-hand experiences of what it is like to live in China as a foreigner. That same evening we had dinner at Aaron’s restaurant – Social & Co. It was one of many highlights for all. We enjoyed an incredible Kiwi styled food platters in China. We had classic Kiwi dishes like steamed NZ mussels, calamari, beer battered fish, fries and pavlova! Aaron’s restaurant is the only restaurant in China that does not serve rice, noodles, like every other Western restaurant in China tends to do. 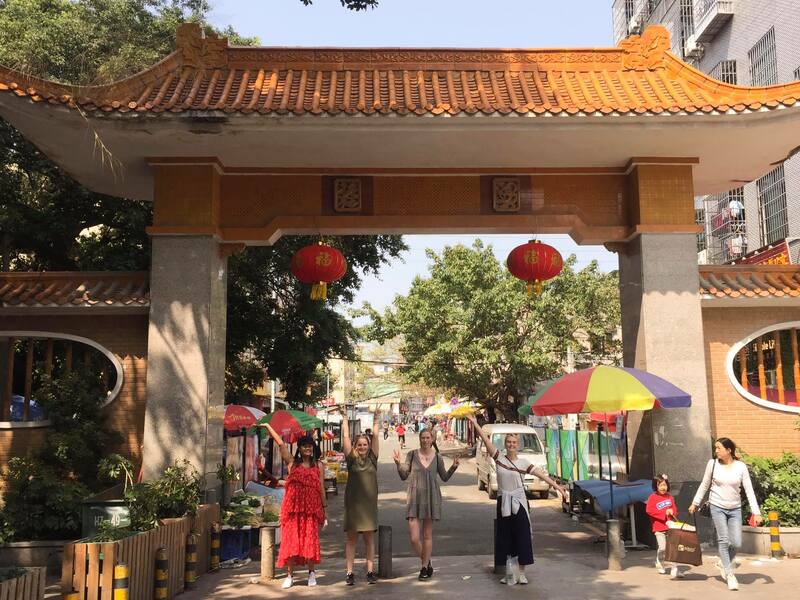 The next day, a few delegates decided to travel to the Xiaozhou water village, filled with local handmade craft boutiques alongside, artisan cafes providing great tea and rooftop views alongside a river. 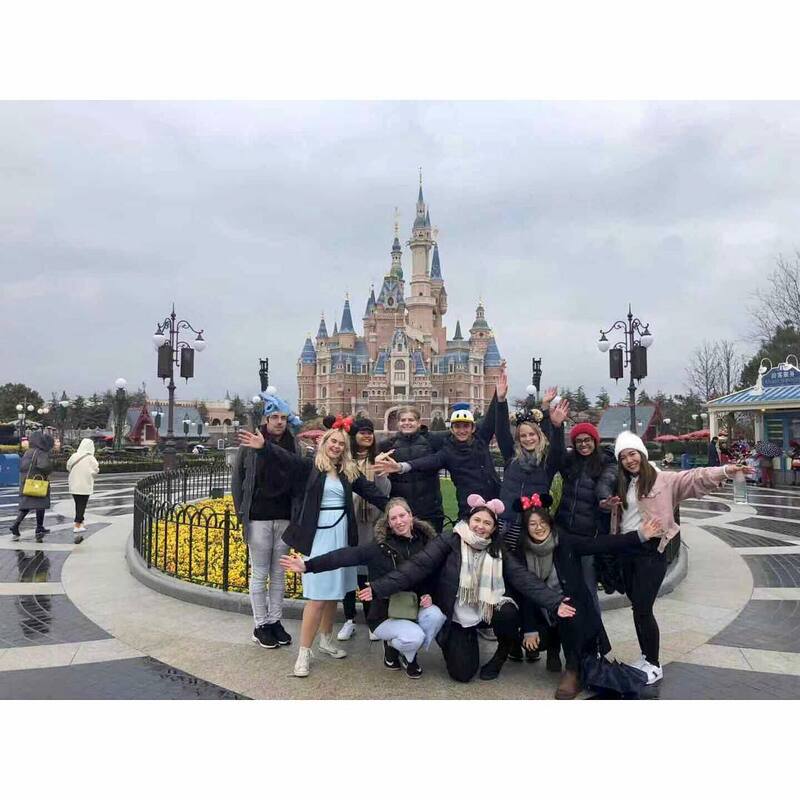 Others explored the many malls we struggled to find the exits in, visited temples and shrines as well as the Canton Tower with a 360 view of the whole city, and ended the day with the Chimelong International Circus. Our last day, unfortunately, was raining. However, it did not prevent us from seeing the Giant Pandas (first time for many), feeding the giraffes and the many selfies taken at the Guangzhou Zoo. Later that day, we concluded our time in Guangzhou at a traditional Yum Cha restaurant, where we got to taste delicious dumplings, cha seu baos, chicken feet, egg tarts and tea; all leaving the restaurant will full stomachs gradually making our way back to the hotel to make our way to the train station, departing on an overnight train split into four groups squashed in a tiny room trying to fit our luggage in any available gap ready for the 11-hour journey ahead. Some laughing sharing their highlights and lowlights, winding down with face masks and many ear popping later, we arrived at our next destination – Shanghai. Posted in Globalisation TourLeave a Comment on Guangzhou, Let’s go! Ho Chi Minh. A small man with a humble disposition. Ironically, nothing could be more different from such a figure than the city named after him. Ho Chi Minh City, formerly Saigon, is a bustling, vibrant whirlwind of colours and lights that don’t care for a second about getting all up in your face. It barely took us any time to realise this as we rolled into town just as the sunset and the streets came to life. After dinner at a balcony restaurant and a short roam through the streets we crashed into bed, arising early the next morning for our tour of the Mekong River Delta. Our tour guide Ahn cracked jokes and pumped us with facts. One hour later we were on a boat on the delta, exploring mangrove clustered islands where we held live snakes, drunk fermented dead ones and feasted on Vietnamese food. A highlight was a visit to a major Buddhist temple that afternoon, which featured two giant Buddha statues and incredibly beautiful gardens. Our day ended with an amazing shared dinner and a visit to the tallest point in the city. The amazing views over Ho Chi Ming from the Saigon Skydeck simply cannot be put into words. Spread out in front of us, spanning far over the horizon in all directions were a countless number of buildings, broken only by rivers of light formed by infinite headlights stuck in traffic. The next morning saw us up early again, this time dressed for business. We headed off to meet with Saigon Co-Op, Vietnam’s largest supermarket chain, where we learnt about their business strategies and emphasis on supporting local communities; their supermarkets stock 90% local produce. That afternoon, we were given a personal guided tour through a Saigon Co-Op supermarket, food outlet and hypermarket – a colossal store stocking everything from groceries to clothes, musical instruments and more. After an amazing dinner of pho, we hit the Saigon Night Markets in what was our first time haggling for many of us, breaking deals left, right and centre as we tore prices down to numbers that were still probably quite high but low enough to keep our pride intact. Day three featured an incredible meeting with Thao Nguyen at KPMG Vietnam. An amazing and inspiring former refugee, Thao has strived against immeasurable obstacles in her journey from poverty and racism in Australia to high profile legal work in Vietnam and beyond. Aside from empowering us with the knowledge that any goal can be accomplished with enough dedication. With a quick break to try weasel poo coffee, we then moved to the NZTE for a presentation by Rose Nguyen (no relation). Rose gave us a presentation on numerous aspects of Vietnamese commercial society that was as comprehensive as it was broad, enlightening us on several little-known facts about Vietnam essential to any external company looking to do business in the nation. A break from the chaos and crazy fun of Ho Chi Minh came in the form of a sobering and deeply moving visit to the Vietnamese War Museum. Nothing could prepare us for coming face to face with picture upon picture of innocent children horrifically deformed by American war crimes in the region. World peace is often said to be a pipe dream but there is no doubt that each of us left that place determined to make it happen. Our departure the next day was heralded by many tired mumblings as we hauled ourselves out of our bunks at 4am, boarding a shuttle for the airport. There was something relaxing yet eerie seeing the streets of such a bustling metropolis so quiet in the predawn light. For better or worse, we didn’t reflect on this site for too long as most of us drifted back to sleep, waking with a start as our shuttle pulled into the airport. We turned back to look at the Ho Chi Minh skyline beyond a patch of jungle and numerous snaking rivers before striding forwards to board our flight. Ho Chi Minh may have been chaotic and in your face, but it was time to face a new challenge. Destination; Guangzhou. Also, Thank you so much to the Vice Chancellors Support Fund from the University of Auckland who helped make this trip possible for the two of us. Posted in Globalisation TourLeave a Comment on Hello Ho Chi Minh! Familiar faces, wide smiles, anxious at heart and potentially overweight suitcases. We all came together at Auckland International Airport ready to depart for a whirlwind trip, first stop Chinatown Singapore. 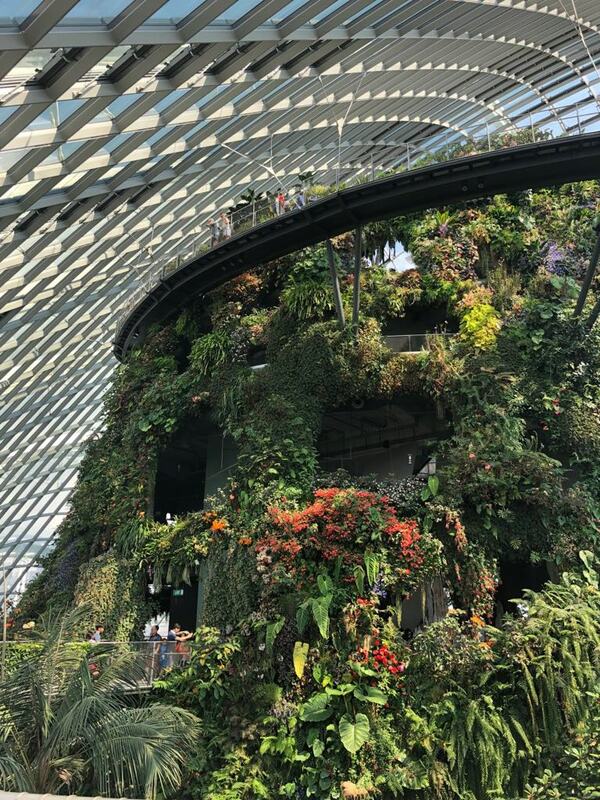 Ticking off the bucket list we set our sights on Gardens by the Bay where many selfies were taken and we were already in awe by the efficiency of the transportation system, considering Singapore fits into Lake Taupo NZ. Despite the delegation coping with the high humidity our walking shoes were put to good use tackling many of the main tourist attractions such as Sentosa Island, Marina Bay Sands, Suntec City, Buddhist Temple, MerLion, ArtScience Museum, and ending the night in awe by the Garden Rhapsody Performance at the Supertree Grove followed by the Lunar New Year Fireworks. The ease of Singapore’s highly effective long-term planning and transport system led us to our first meeting with the NZ High Commissioner for Singapore – Dr Jonathan Austin. Emphasis was placed on the enhanced partnership between Singapore and New Zealand, although New Zealand screams hobbits and sheep to many South East Asians, Jonathan highlighted that New Zealand is an innovative and creative country. 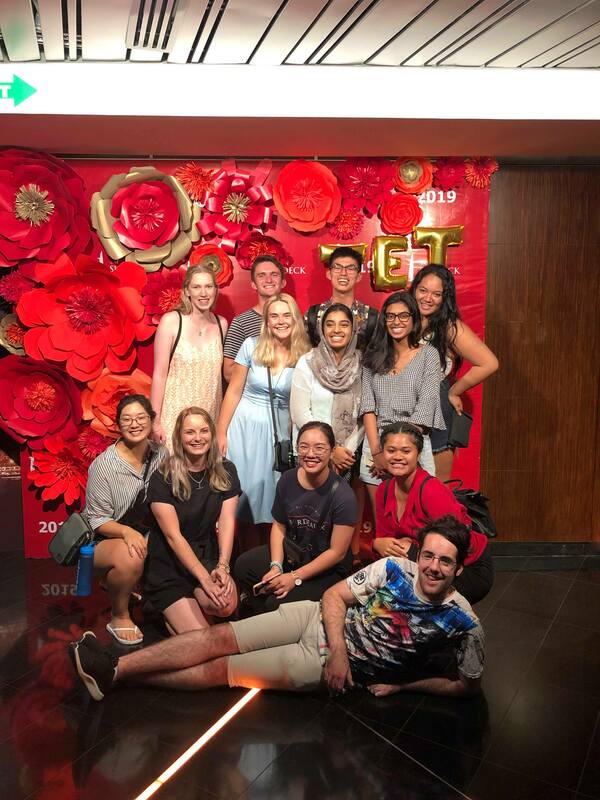 Jonathan was interested to hear our opinion of how more students could challenge themselves to broaden their horizons to study and live in Singapore. A quote from Jonathan, “Asia is the Future, Europe is yesterday” resonated amongst all of us once leaving the meeting. This created good discussion at the end of the day when we regrouped for a Hot Pot dinner, before the Night Safari at Singapore Zoo. The delegation was up the next day feeling recharged and ready to go for a significant meeting with Simon Baptist the Managing Director of EIU Asia. Having talked about a wide range of things which highlighted interconnectedness in a globalised world; Obesity, Artificial Intelligence, Automation, Trade Wars, Top 10 Risks to the Global Economy, Climate Change, and the economic prospect of New Zealand were a few things that were mentioned that had left us feeling like we had travelled all over the world. Simon highlighted the importance of showing skills which propel us to be adaptable and innovative in a competitive working environment. It is these skills that will allow us to be a compliment and not a substitute as the world develops into the ever-changing world of automation. 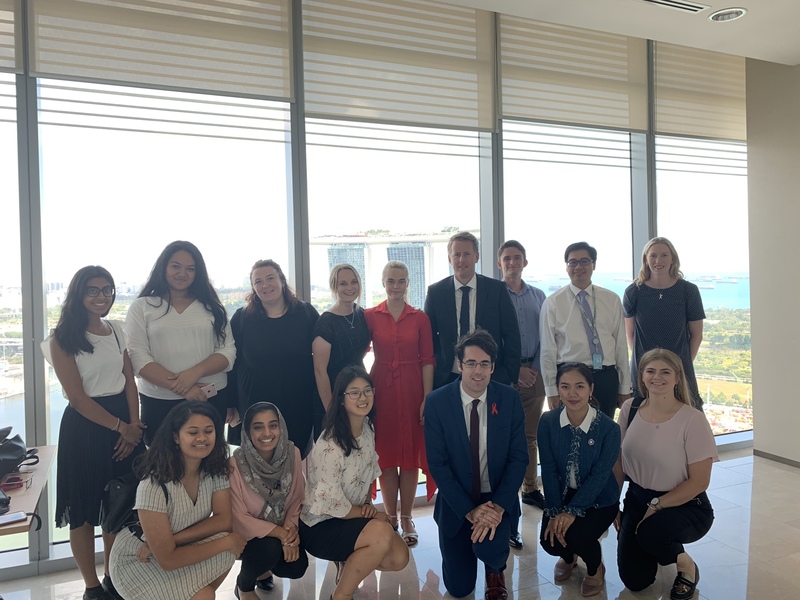 Despite quick lunch and a short walk, we were astonished by the architecture and views from the top of the Ocean Financial Centre where Ben Smith and Khoon Gho from ANZ warmly greeted us. A centre point of the discussion was ASEAN, which is set to become the 4th largest market by 2030 accentuating the importance of ASEAN for New Zealand Trade. There was collaborative dialogue surrounding the need for New Zealand to revisit their investment approaches in Asia. A stand out point from our discussions with Ben was the importance of reminding ourselves as Kiwis not to be too self-critical. New Zealand prides itself on good quality and efficiency of products which should allow us to command a premium price for more than just a sample of our exports. ASEAN holds immense potential for New Zealand trade through Singapore contributing to a doorway of opportunity. Overall, Singapore exceeded all expectations and I’m sure for many we will be visiting this innovative country very soon. Vesinia Maka and Damian Piilua are the Chair and Deputy Chair, of the Auckland Youth Advisory Panel. I had the privilege of finding out some more about the panel and the work that they and the 19 other members do. The panel is made up of 21 youth from across Auckland, representing a different local board area. With representatives from Rodney right down to Franklin, thinking and advocating on the issues that face youth. What is the Youth Advisory Panel and your role on the panel? Our primary role is to provide feedback to the Auckland Council on issues we identify as a panel. These issues we identify become our work program! Which for this term is environment and sustainability, transport and accessibility, affordable housing and homelessness, youth engagement and civic participation. In addition to that, we are trying to make connections with our local young people through our local boards and youth voice groups to get more of a local implication of regionalpolicy. And as the leadership team, our role is to really develop a work programme that co-aligns with the members of the panel and enforce the priorities that we have listed for the panel this term. 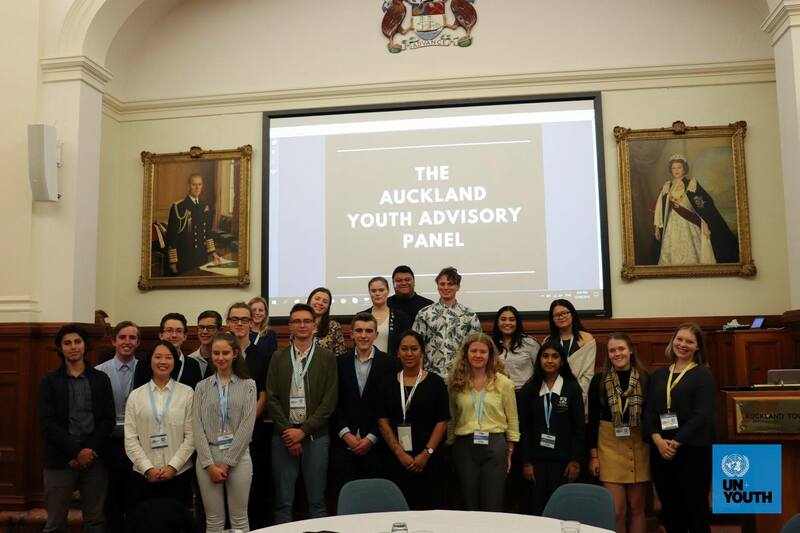 Vesinia: The Youth Advisory Panel is an opportunity to ensure that the voices of young people are included in the decision-making of Tamaki Makaurau. It allows transparency in issues that affect a large proportion of young people such as, transport, homelessness and housing. It is incredibly important that we are providing a youth voice for young Aucklanders. Damian: I see the panel as abig step towards greater civics participation from the youth demographic in Auckland. 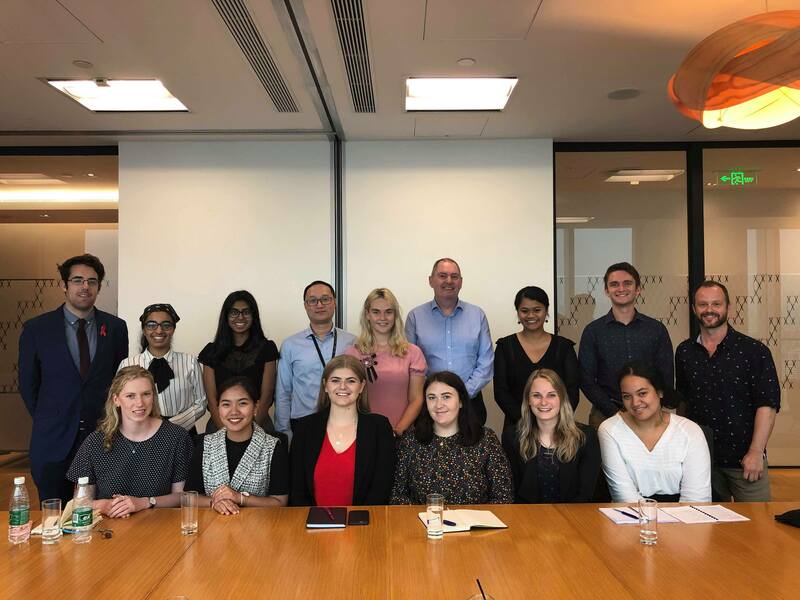 Part of our greater vision for the panel is for us is to have young people in Auckland understand local government and the impact of their decisions in our everyday lives. 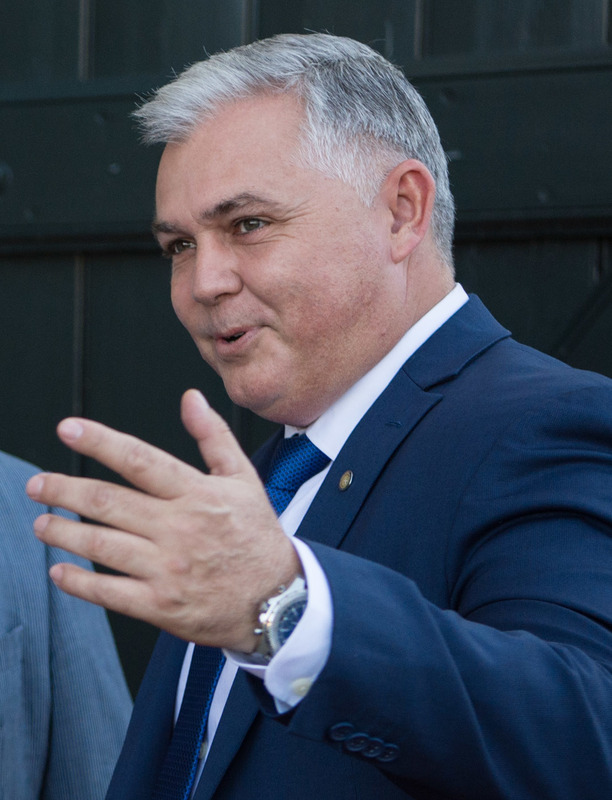 Do you think the panel works to reduce the stigma that youth aren’t interested in Politics? Vesinia: It is a slow process of reducing the stigma of youth becoming uninterested in Politics. As a new panel, it’s important that we increase our engagement with the wider youth, both on a local and regional level. However, with many of our panel members having strong relationships in their local youth groups, it has allowed engagement in regards to consultations of issues that matter to young people. So, in regards to reducing the stigma of youth becoming uninterested in Politics; I think it’s a slow progress. However, by having amazing members on this panel, it’s allowed for accountability when many organisations and departments are interested in our opinions. Why do you think that a large proportion of high school students do not care about politics and deem it to be unimportant or irrelevant to their lives? Damian: This is such a weighted question with viewpoints from different sectors I think. In part, I believe this question has to do with the curriculum in schools not reflecting the importance, and influence of local and central government decisions in our daily lives. I also think that it has to do with the media surrounding what politics is displayed. For many young people (myself included) we associate politics with the Beehive, parties that are not fun, screaming matches with Marama Fox vs. 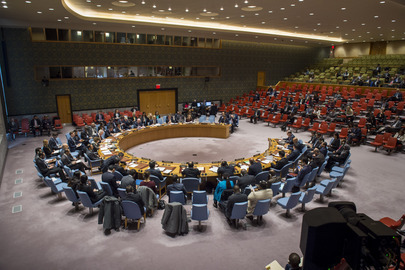 The world, and are showcasing decisions made by the government negatively. So for a school student with 6 subjects, a smartphone, 7 social media sites and drama with real-life impacts, politics may not be a high priority. Is the political landscape inhospitable to those under 18, making it unappealing to young New Zealanders? Damian: I feel yes, and no. I think the political landscape isn’t inhospitable, it is unfamiliar. There’s a difference. There is a growing number of millennials in NZ and it’s an untapped demographic that politics is recognising as an important opinion to have in future planning for policies and strategic plans. However, the engagement between politics is what makes it unappealing to young people. From the tables, I’ve sat around where 40+-year-olds sit, plan and design visuals for marketing purposes for young people It makes things it very apparent how out of touch the government is with young people. Politics operates in an almost mechanic way regionally, so it’s hard for young people to break the glass ceiling, be taken seriously and not be treated as the token demographic tick box. Overall, we think we all have a role to play. From the campaigns of candidates to youth councils in local areas to the individual’s semi-versed in the world that is politics. We all have a responsibility to encourage those around us to be apart of conversations that impact a majority of our lives in one way or another. Politics is something that is complicated in itself and for many young people, they are still trying to understand what politics really is. Basic knowledge and information such as how to vote, the role of local boards and what mandate local boards have, are simple things that are vital when providing young people with the resources to actively participate and thrive in local decision making. In our modern world, it can be hard to understand that what we now view as outdated and primitive technologies were once revolutionary innovations of their time. Everything from forks and lightbulbs to trains, cars and aeroplanes was once a brand-new, innovative idea. Yet, in many cases, societies have turned away from flexibility and innovation to focus their educational models on memorisation, rote learning and rigid answers, which leave little space for creativity. For every innovation and “Eureka” moment, there have been dark moments in our world’s creative and technological development. Scholars, physicists and mathematicians who detailed their discoveries of the Earth revolving around the Sun were ostracised and even jailed for airing their ideas. Even today, new ideas and new technologies can be cast aside due to a fear of change. This raises the question of how best to foster creativity and innovation in modern society. In most developed states there is ample freedom to develop new ideas, to test them and to implement them. However, many states still educate their young people through memorisation and black-and-white, right or wrong answers, rather than equipping them with analytical or critical-thinking skills. The markers of success have changed from being able to flawlessly recite someone else’s work, to utilising innovation and fresh ideas to place your own mark on society. Regarding strategies to best support creativity and innovation in our societies, it is fitting not to provide answers, but to pose questions. How can we ensure our education systems foster creativity, independent thinking and the formulation of new ideas? How can governments support scientists, engineers, artists and entrepreneurs, among others, and facilitate their co-operation to maximise potential? How do we as a society support artists, writers and musicians and recognise their contributions?